“Get out of my face or I’ll slug you!” Outbursts like this are scary, but often, they’re uttered by children or teens who feel out of control. While some degree of “impulsivity” is common – even expected – children with serious behaviour issues risk negative consequences in social life, family life, academic career and mental health. Fortunately, there are methods to help combat emotional outbursts. Current research reveals that selfregulation (also called emotional regulation) is vital to mental health. Self-regulation is the seemingly simple exercise of evaluating one’s emotional response and making a conscious decision on how to respond. It allows us to control our emotions, rather than having emotions control us. 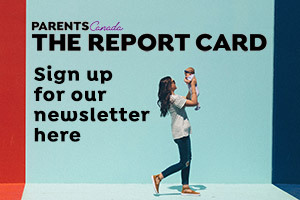 “There are many children who struggle with their behaviour – they’re aggressive, noncompliant, easily frustrated and react without ‘thinking’,” says Dr. Leena K. Augimeri, Director of Scientifi c and Program Development at the Child Development Institute in Toronto, and an Adjunct Professor at the University of Toronto. “As a result, these children get sent to the offi ce, suspended in some circumstances, are excluded from activities and/or become labeled as ‘bully’, ‘aggressor’ or ‘problem.’” Dr. Augimeri aims to help children intercept and alter these behaviours. Tweens are especially in jeopardy of poor self-regulation. With hormones surging and pressure to succeed both socially and academically, tweens may feel emotionally ‘out of control’ and this puts them at risk of acting out, or saying and doing something they’ll later regret. Parents can help by ensuring tweens get enough sleep and eat well. They can also assist by encouraging discussion on thoughts and feelings and helping tweens discover mechanisms to stay grounded – anything from yoga and meditation to listening to music or writing in a journal. While early intervention is best, it’s never too late to start. Dr. Shanker says that, “As the demands on the child increase, selfregulation has to grow in concert.” Understanding tweens’ brain development and mental health needs is a good place to start. Take a few moments to breathe. 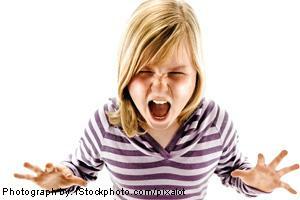 Dealing with a defiant child.